Introducing Sleep WA, Western Australia’s Leader In Respiratory And Sleep Medicine. Sleep WA offers patients expert diagnosis, effective therapy and supportive guidance on the road to better health and sleep. Sleep WA is one of the first and only respiratory and sleep centres to provide holistic care for all lung disease and sleep disorders. We believe all patients deserve compassion, support, multiple treatment options and education to allow them to actively participate in their own journey to better health. 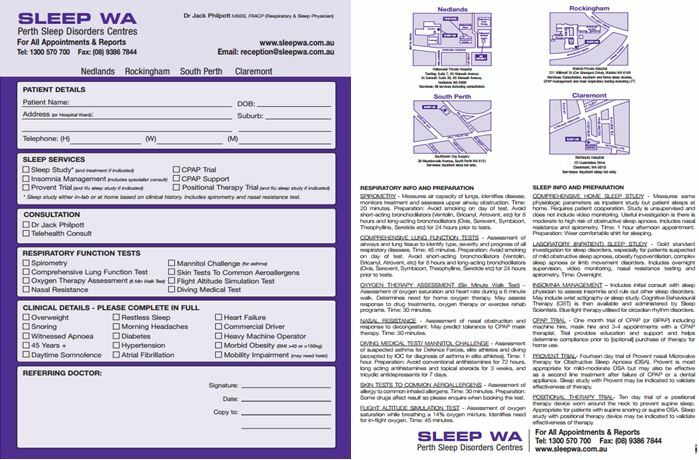 Sleep WA has proven their commitment to offering a high quality service by achieving the rigid NATA/ASA accreditation standard for all their Sleep Laboratories, and is one of only a few Western Australian services to do so. A GP, specialist or allied health care professional may write a referral for a patient to undergo consultation or testing at Sleep WA. 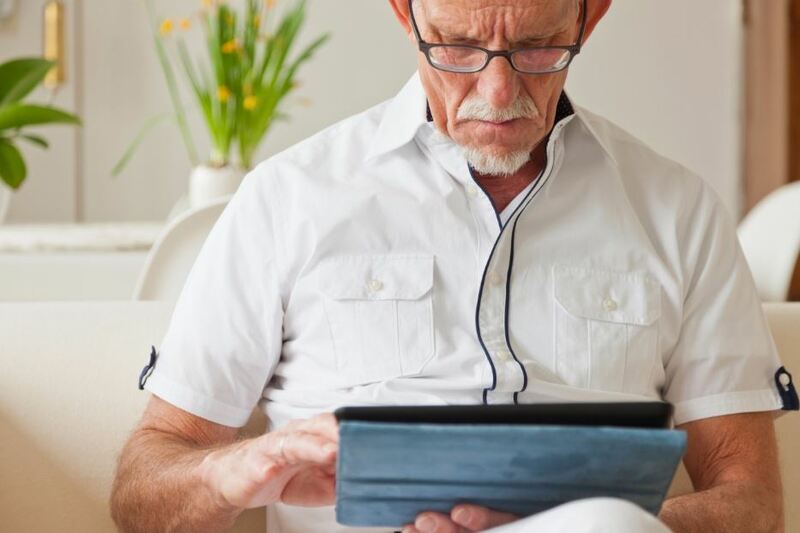 For more information regarding referrals, including printable referral forms, instructions on setting up electronic referrals for your practice or to request referral pads from Sleep WA please click the link below. A representative of Sleep WA may have directed you to this page to complete a required online form or questionnaire. Please select and complete the relevant forms as instructed by your Sleep WA staff member. Sleep WA provides holistic care for patients with all Sleep and Respiratory disorders. To learn more about our full range of services, select the link below.